Otto Storch is a member of the Art Directors Club of New York and the Society of Illustrators. In 1943 he received the first award in the National Magazine Cover Competition sponsored by the Office of War Information at the Museum of Modern Art. Since then, he has received over 300 awards in all, from the American Institute of Graphic Arts, Art Directors Club of New York, Society of Illustrators, Society of Publication Designers, Type Directors Club, New Jersey Art Directors Club, C.A. Magazine, Art Directors Club of Philadelphia, and the Art Directors Club of Los Angeles. In 1960 he received the Art Directors Club Gold Medal Award for “his Outstanding Art Direction of McCall’s Magazine,” and two additional Gold Medals for Design and Photography. In 1961 Otto was elected “Art Director of the Year” by the National Society of Art Directors and received a Gold Medal from the New York Art Directors Club of New York. In 1962, he received a Citation from the Philadelphia Museum College for his outstanding work, two gold medals from the New York Art Directors Club and the Society of Illustrators Special Award. Mr. Storch received the Philadelphia Art Directors Club Special Achievement Gold Medal Award in 1963. The following year, 1964, he received the Pratt Institute Alumni of the Year Award. 1965 brought him the New York Art Directors Club Gold Medal for Photography and an award from the Society of Publication Designers. 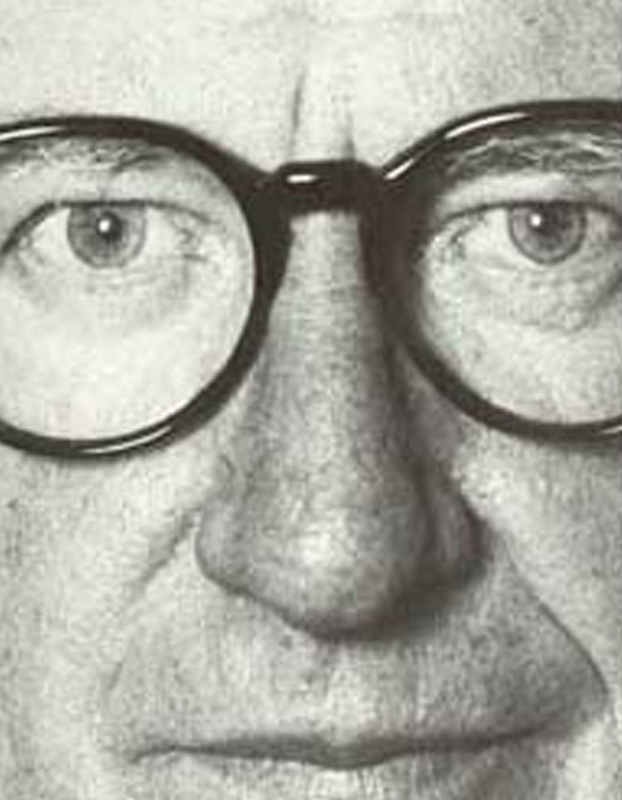 In 1966, he received the Gold Medal for Editorial Design from the New York Art Directors Club. In 1967 Mr. Storch received the Society of Illustrators Gold Medal and First Prize from the American Music Conference Advertising Awards. In 1968 he won an award for Photography from the School of Journalism, University of Missouri, the Gold Medal Award for Photography from the New Jersey Art Directors Club, and the Gold Medal Award from the New York Society of Illustrators. He also received the highest award from the Type Directors Club. Also in 1968, Otto Storch was the recipient of the Brehm Memorial Lecture Award Medal from the Rochester Institute of Technology, and the 1968 Grand Award from the Publication Designers. In 1969 he was awarded the Gold Award from the Packaging Council Competition in Aspen and the Eight Lively Arts Award for Photography. His work has been well represented in many of the Annual Exhibitions of the Art Directors Club of New York and Los Angeles, the A.I.G.A., and the Society of Publication Designers, until 1979—when Otto decided to take a sabbatical that is now ending. Otto and his wife Dolores have been communicating with the flowers and bees in their self-designed house in East Hampton. “After being born in Brooklyn on February 15, 1913, I managed to survive that borough, and the years between my birth and graduation from Pratt Institute. I later studied at NYU and the Art Students League. Next came the “School of Hard Knocks” trying to find a job during the great depression. Abril Lamarque, then Dell Publishing’s Art Director, gave me work, temporarily filling in for a vacationing photo retoucher. Inexperienced, I ruined a couple of dozen black and white prints. Not discouraged, he tried me out on some layouts. The retoucher returned and Abril never asked me to leave. We developed such a camaraderie of interests, that to this day, I still feel a warm tinge of friendship for Abril. After Abril left Dell, I became Art Director, sometimes doing forty layouts in one day. Not always good, but always fast. Not being satisfied with the grade of the subject matter Dell dealt with, and admiring Alexey Brodovitch‘s Harper’s Bazaar, I started to attend classes at his home and then later at the New School. The class was comprised of art directors, illustrators, fashion artists, package, stage, and set designers, photographers, typographers, and me. Brodovitch would dump photostats, type proofs, colored pieces of paper and someone’s shoe lace if it became untied on a long table together with rubber cement. He would fold his arms and, with a sad expression, challenge us to do something brilliant. I always managed to finish before the “Cleaning Ladies” came with their burlap bags. It was then that I perceived that formula is to examine carefully each problem with the concept arriving out of that understanding, and then presenting it brilliantly. Since ideas precede visual expression, the first consideration should be the rightfulness of the idea. I quit my job and almost starved. Many doors were closed. There followed a seven-year period of freelancing that included layout, illustration, photography and worry. I worked for magazines, advertising, promotion, book jackets, record album covers, etc. I was really working hard. One day I went to Better Living Magazine (a McCall Corporation Magazine) with art spots, and left as Assistant Art Director. From Better Living I moved to McCall’s Magazine, which was having problems. Circulation was declining and advertising revenues were down. Herbert Mayes was brought in as editor to save the magazine and given a free hand. My time had come. I was in the right place at the right time. I had the creative ability and the experience, and an editor who wanted to do things. Good art direction does not come from an uncertain person. I am capable of intense feeling and was willing to lose a popularity contest with departmental editors when necessary. The visual responsibility of the magazine was mine. Mayes as editor was the most brilliant, energetic, egotistical, opinionated, emotional, loving man I ever had the good fortune to meet. After the first month or two of probing around and doing some experimental things, we started to find our course. In the process, we sometimes engaged in hand-to-hand combat, but we were usually harmonious collaborators with Mayes supporting my ideas and designs. He was unstinting in his praise and encouragement. It was in the art department that I first met my wife Dolores. She has been my partner ever since, sharing every endeavor. Around this time I spent many hours working with photographers, developing projects for the magazine, and I became addicted to the medium. Photography made me even more aware of things, and so I started to take some of my own photographs for McCall’s. The following is an excerpt from an article I wrote that will disclose my feelings at that time. Mayes became President and John Mack Carter was the new editor. It was a time when I looked forward to the excitement and accomplishments of each day. Carter and I worked well together. As the magazine became more and more successful, the policy became more conservative, and I was confronted with mostly characterless material. By now Mayes and Carter were gone. The specialness of my relationship with an editor was never the same after they left. Art directing at McCall’s became uninteresting and opposition to imaginative layout was building up. Again my time had come—I was the right person in the wrong place. Dolores and I went out with camera in hand and photographed the famous, the rich and the poor, fashions and cosmetics, editorial articles, automobiles and airplanes—everything, all over the world. Please note: Content of biography is presented here as it was published in 1980.